People are copying designs from the internet all the time. Some people stoop really low. To them I say … #%$^&#&$#&%@#$*&%#)^#^@(*%^#! To others I say please check the authenticity of anyone you buy patterns from. 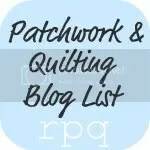 Virtual Quilts – 750 of them!